Giovanni Menna studied at the Conservatory of Perugia and at the University of Arts in Berlin with Hartmut Rhode graduating in 2012 with a Bachelor (BA) degree. Presently he continues his studies for a Master (MA) degree at the “Hanns Eisler School of Music” in Berlin attending the class of Tabea Zimmermann. Master classes of Lorenzo Corti, Hatto Beyerle, Yuri Bashmet und Bruno Giuranna gave him further important impulses. 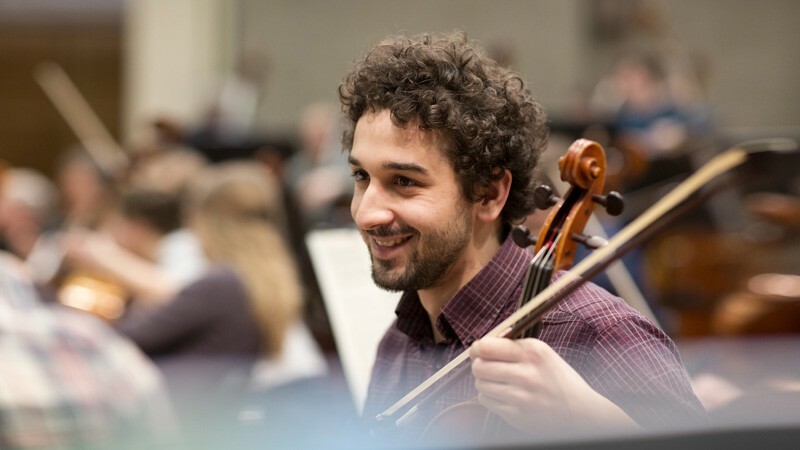 As a member of the European Youth Orchestra, the Gustav Mahler Youth Orchestra as well as playing with the Orchestra Sinfonica Nazionale della RAI, the Filarmonica della Scala and at the Orchestra dell’Accademia di Santa Cecilia in Rome in the position of an Associate Principal Violist, Giovanni Menna gained extensive orchestral experience. After joining the orchestra academy of the Deutsches Symphonie-Orchester Berlin in 2010/2011 he became an student at the orchestra academy of the Berliner Philharmoniker from 2011 to 2013. Since January 2014 Giovanni Menna has been a member of the Symphonieorchester des Bayerischen Rundfunks.